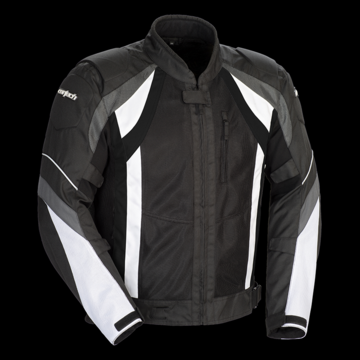 The Cortech VRX Air Jacket uses Armor-Link mesh to provide flow-through ventilation while the shoulders and elbows are protected by 600 denier Carbolex® and CE-approved armor for increased protection. If summer showers pop up, the removable waterproof liner can be inserted to keep you dry. At night, Phoslite® reflective piping provides increased visibility. For a summer jacket, the VRX Air has you covered in almost any condition.